(P1) One of the word’s most famous beer companies is changing the name of its best-selling beer. The company is Anheuser-Busch (AB), which is the USA’s largest maker of beer. It is going to change the name of its Budweiser beer to ‘America’. The name change will be only for six months, between May 23 and November. A company spokesperson said the name change is to try and increase sales. Budweiser used to be the USA’s most popular beer but it has been losing market share for over 25 years. 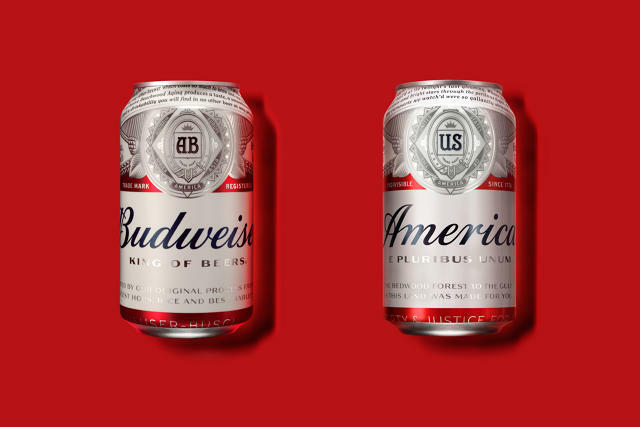 The word ‘America’ will replace the word ‘Budweiser’ on its cans. It will also use the same font that AB uses for Budweiser. In addition, the initials “AB” will be replaced by “US”. Do you like the temporary name change from Budweiser to America? Why or why not? Why is advertising important for companies? Are you influenced by advertisements? Why or why not? Does your country have beer brewing companies? If so, what are the names of the beers?